Myrrh gum is the sap-like resin produced by a thorny shrub in the Commiphora genus, which includes frankincense. When the bark of the tree is cut, the resin escapes in “tears” or small beads, which harden quickly and become glossy and amber-colored with age. 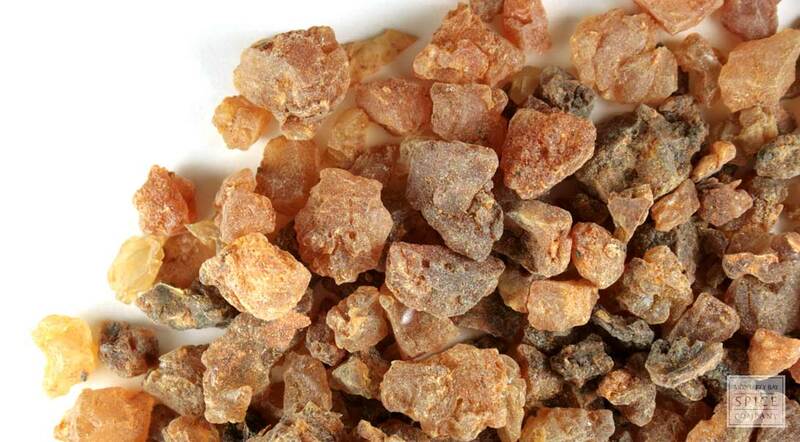 Dried myrrh gum is highly fragrant and is used alone or in blends with other materials to create quality incense. appearance & aroma Tear-shaped pieces of hardened, aromatic tree resin. cosmetic Add to potpourri mixes and to floral displays. household Hang in muslin bags in closets or tuck into drawers and between linens. aromatic Burn over smoldering charcoal as incense. industrial Myrrh resin is used in perfumery and in the cosmetics industry. Combine with copal when using myrrh as incense. 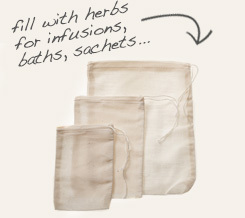 Place myrrh “beads” in muslin bags to scent closets, drawers and other spaces. Myrrh is a natural gum that is harvested from the sapwood of a tree native to Ethiopia, Somalia and Yemen. This resinous material is syrupy when it first runs from the cut wood, but it quickly hardens into “tears” when exposed to air. Once collected, the resin is aged for several weeks before going to market. Myrrh gum has a long history of use in the Mediterranean region as fragrance and spice. It is mentioned in the Christian Bible numerous times, most notably as one of the gifts presented by the Three Wise Men to the infant Jesus on the eve of his birth. Myrrh was also among the materials utilized in the elaborate embalming process used by the ancient Egyptians.